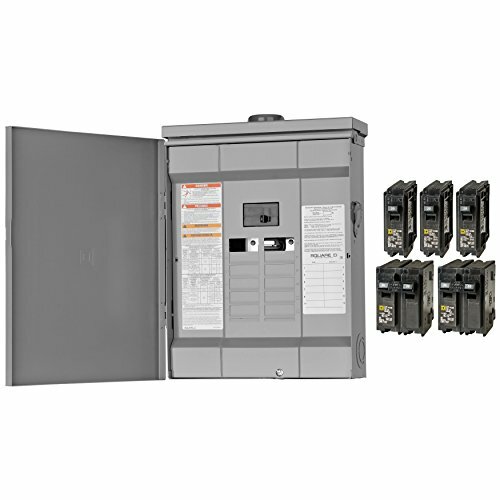 The Square D Homeline Value Pack is a 125 Amp 12-Space 24-Circuit Outdoor Convertible Main Lugs Load Center with cover for Plug-on Neutral breakers includes a selection of breakers and is UL listed for residential and commercial power distribution. This load center includes (2) 20 Amp single-pole breakers, built with a plated, aluminum bus bar that is tested and listed only for Homeline circuit breakers. Homeline load centers are designed for the value-minded contractors, remodelers, builders and homeowners. Homeline load centers are engineered for fast installation and wire savings.